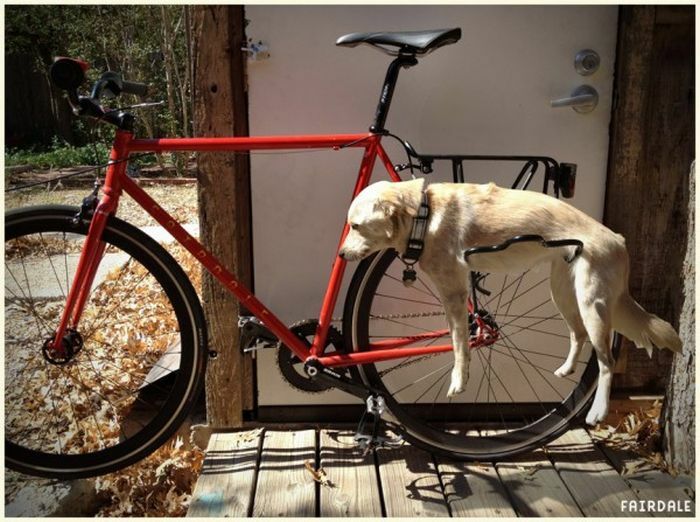 This bike has an extra space for your best friend. d) did you know? 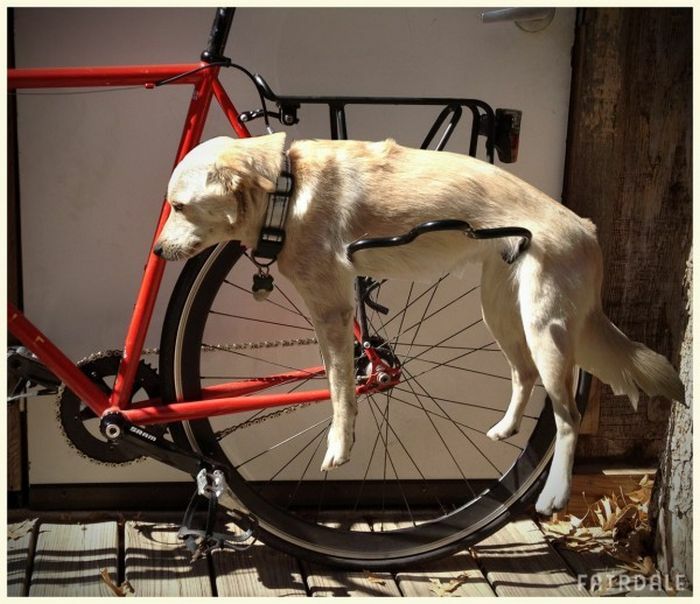 dogs love to run...why go on a bike ride and put the dog into a 'dograck'? Perfect for the quadraplegic dog. perfect for your dog that you just got back from your local taxidermist. A) You guys do realise that this is a joke right? B) You also do realise that the last one is a photoshop right? yeah, last one is hilariously photoshopped. I'm not really a fan of dogs, but going by the last pic, do you think they do a rack for a walrus? 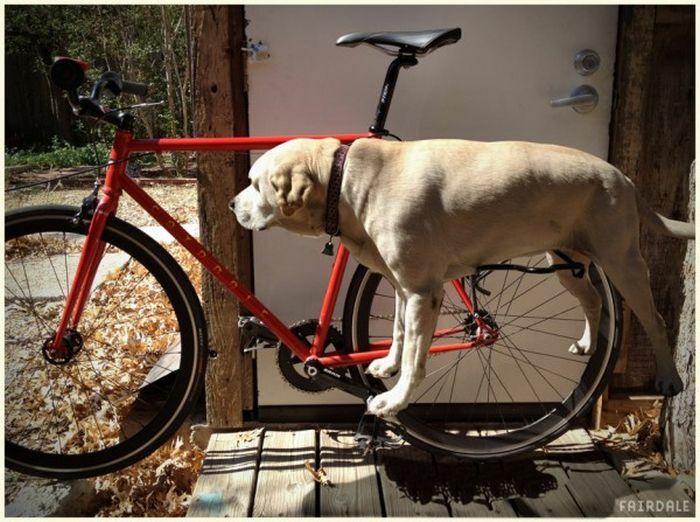 Dogs have legs, and most run as fast as you cycle anyway. Now what dog would've come up with that idea? 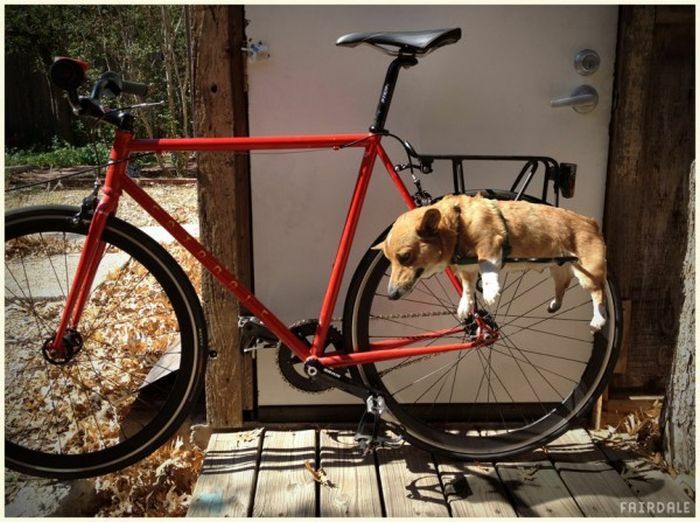 Usually works better if you stuff your dog up into the spokes tightly so he won't fall out, just cut him up for the best fit for your bike. Easy!